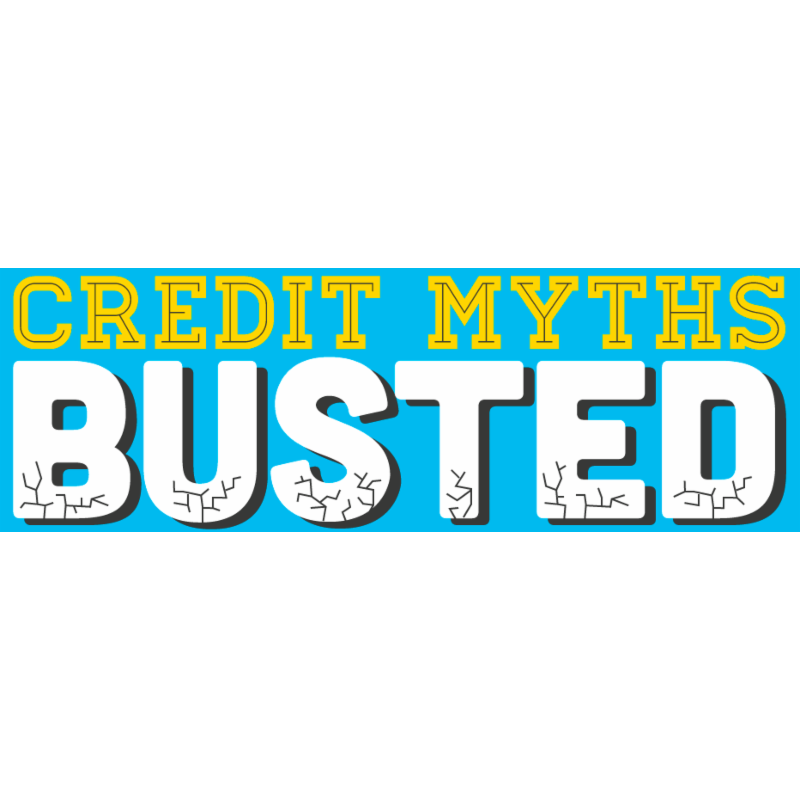 The world of credit is overflowing with myths and plain bad advice. Unfortunately, when it comes to your credit, believing the wrong myth could really hurt you. Before you blindly follow the advice you received from your well meaning loved one or the credit tip you read online from your favorite financial “guru”, it might pay to do a little research of your own. To help you get started, here are 5 dangerous credit myths which you need to stop believing today. Closing a credit card account is almost always a bad idea from a credit score perspective. Instead of helping you, this dangerous credit myth can backfire and might send your credit scores sliding downward. Closing a credit card will NOT cause you to lose points by reducing the age of your credit history (this is another myth in and of itself); however, closing a credit card account could increase your revolving utilization ratio. Credit scoring models like FICO place a lot of emphasis on the connection between your credit card limits and the balances on those accounts as they appear on your credit reports (aka revolving utilization ratio). When this balance to limit ratio increases, your scores will suffer. By closing a credit card account, you might unintentionally increase your revolving utilization ratio and damage your credit scores as a byproduct. The “cash only” crowd preaches that you need to avoid credit all together if you want to lead a financially sound life. If you believe this myth you could be cheating yourself out of a ton of amazing benefits which become available once you earn good credit. With good credit you can qualify for lower insurance premiums, low/no deposits on utility accounts, better interest rates, and much more. Remember, you do not need to go into debt to build strong credit scores. In fact, credit scoring models such as FICO and VantageScore are designed to reward you most when the credit card balances on your credit reports remain near $0. Paying a collection account is sometimes a good idea, especially if the debt is legitimate and is preventing you from qualifying for something you need. Paying a collection account might also protect you from getting sued by a debt collector. However, the idea that paying a collection account so that it will be automatically removed from your credit reports is false. Not only do paid collection accounts continue to remain on your credit reports for 7 years from the date of default on the original account, paid collections typically continue to damage your credit scores. In fact, paying a collection could even drop your credit score in the FICO scoring models used by the mortgage industry, as this new payment creates new and more recent activity. If you believe that simply paying off every negative item on your credit reports is going to clean your credit, you may be in for an unpleasant surprise. If you believe this myth, it’s probably a good idea to speak with a credit repair expert. Are you afraid that checking your own credit reports will harm your credit scores? This is one of the worst credit myths in circulation. Not only will it NEVER hurt your credit scores to check your own reports, you should be checking your own credit reports for errors and mistakes quite often. There are times when having your credit reports pulled might damage your scores to a degree, but these “hard inquiries” most often occur when you apply for new credit. Even so, hard inquiries are not something to be afraid of as long you keep these occurrences limited and only allow lenders to pull your credit reports when really needed. While there are certainly some shady people out there who would promise you anything to get a hold of your hard earned money, the truth is that reputable and effective credit repair companies do exist. You also have the right to try to repair your credit problems on your own. Yet, there is often value in asking for help when you feel overwhelmed or are simply too busy to try to tackling credit repair by yourself.